Art Thrasher knows this. He is a man with a driving vision: send humans to Mars. The government has utterly failed, but Thrasher has got the plan to accomplish such a feat: form a "club" or billionaires to chip in one billion a year until the dream is accomplished. But these are men and women who are tough cookies, addicted to a profitable bottom-line, and disdainful of pie-in-the-sky dreamers who want to use "their "cash to make somebody else's dreams come true. But Thrasher is different from the other dreamers in an important regard: he's a billionaire himself, and the president of a successful company. 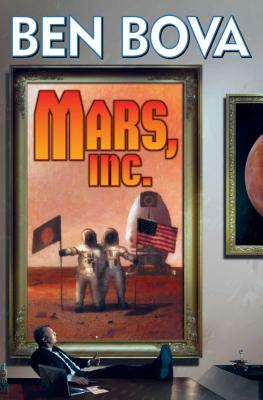 But it's going to take all his wiles as a captain of industry and master manipulator of business and capital to overcome setbacks and sabotage--and get a rocket full of scientist, engineers, visionaries, and dreamers on their way to the Red Planet.